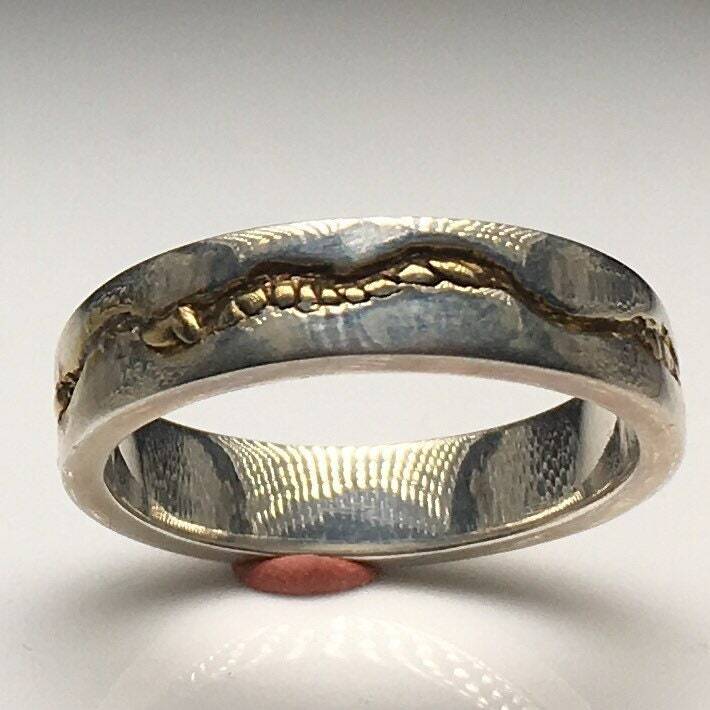 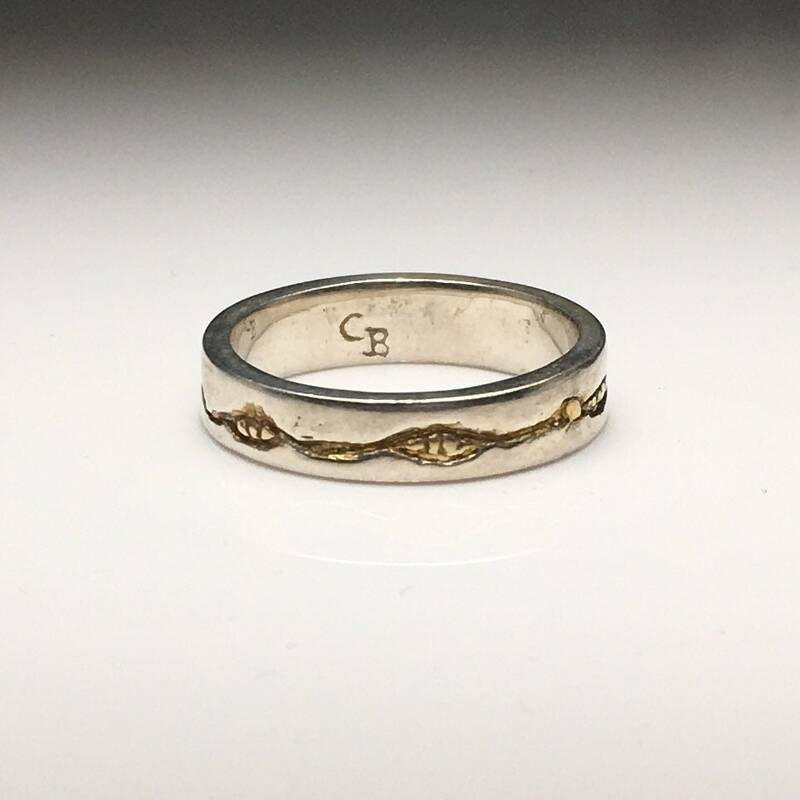 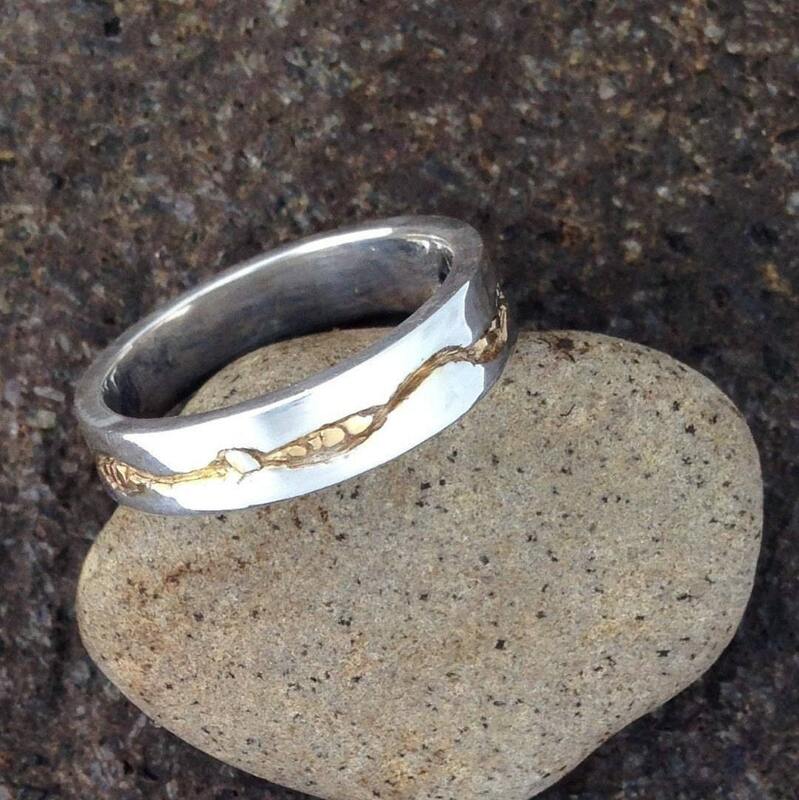 Solid Sterling Silver Band with free form hand carved design. 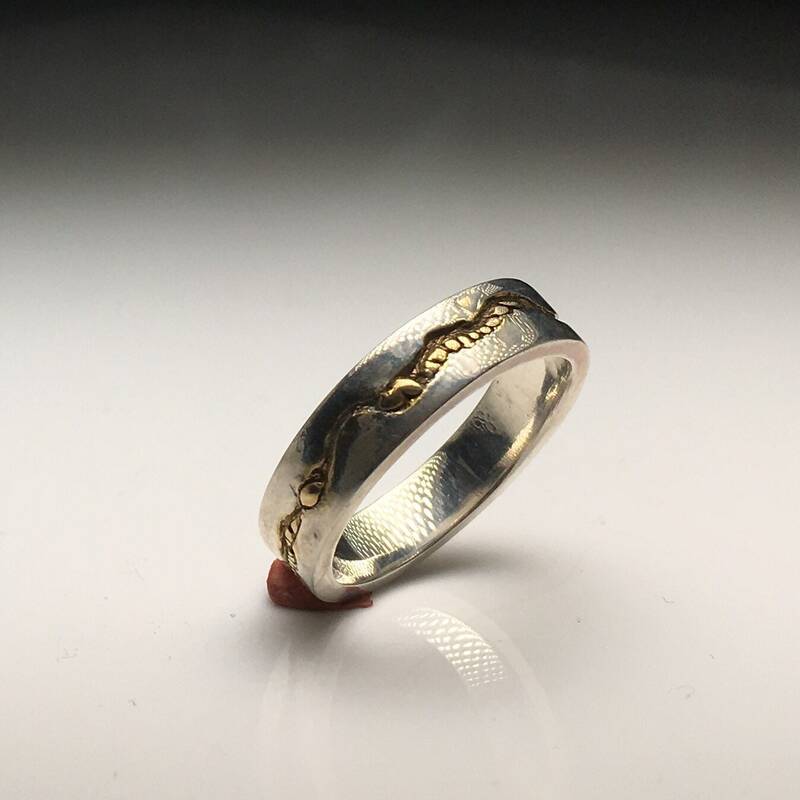 One of a Kind Original with 14k Gold Plate Accenting the center carving. 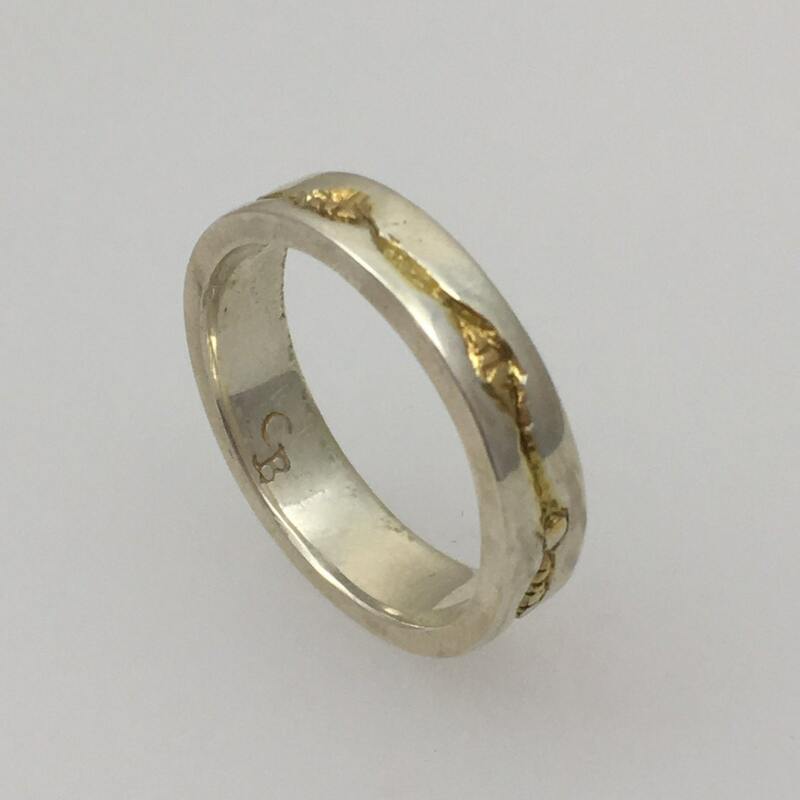 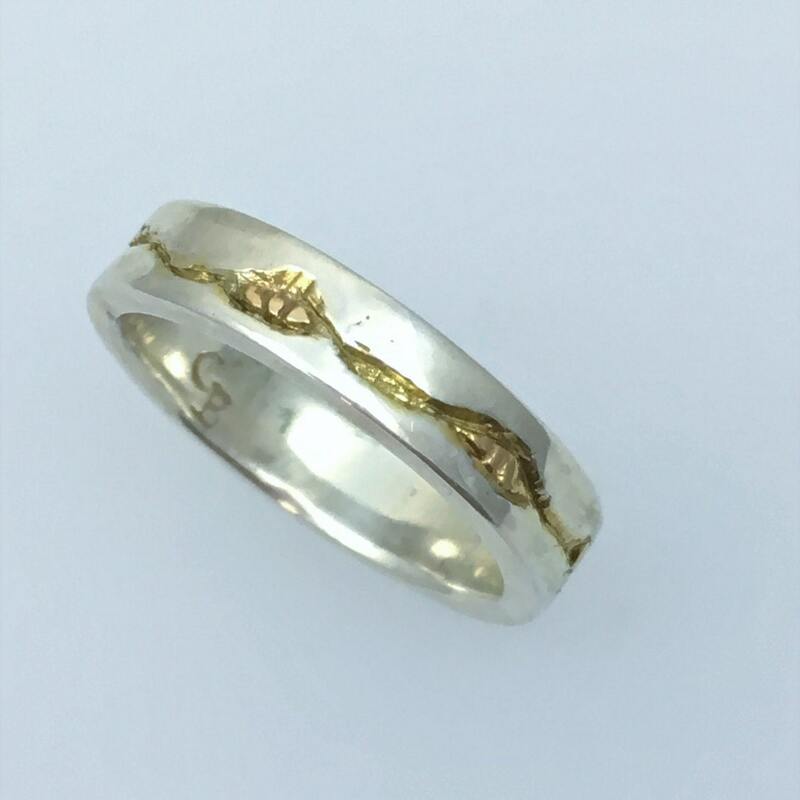 This ring is unique it has a shinny surface with a craved free flowing design that has been gold plated over the sterling silver. 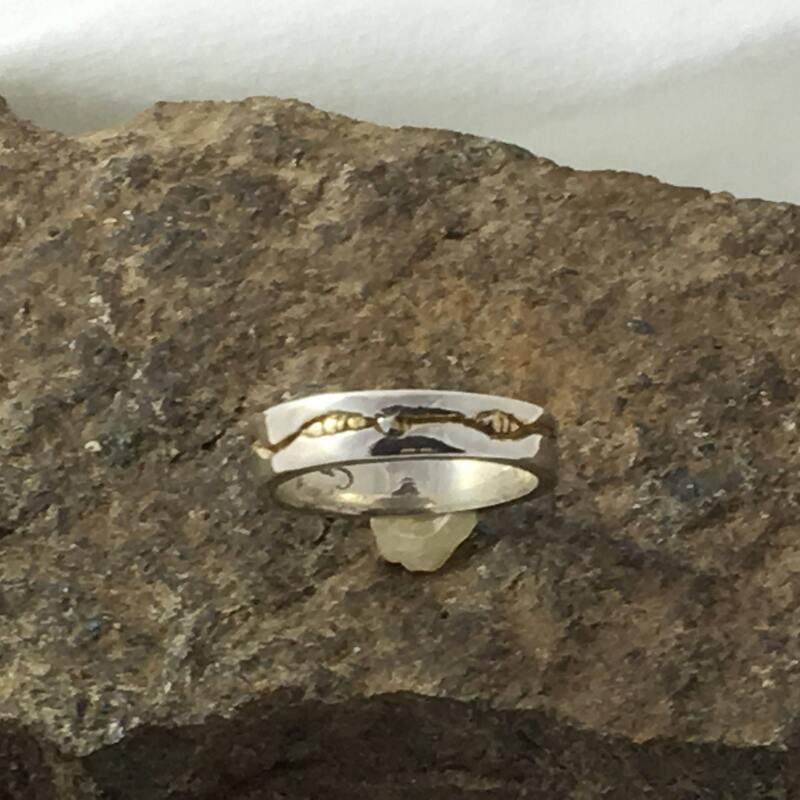 It is a one of a kind artistic ring simply stunning. 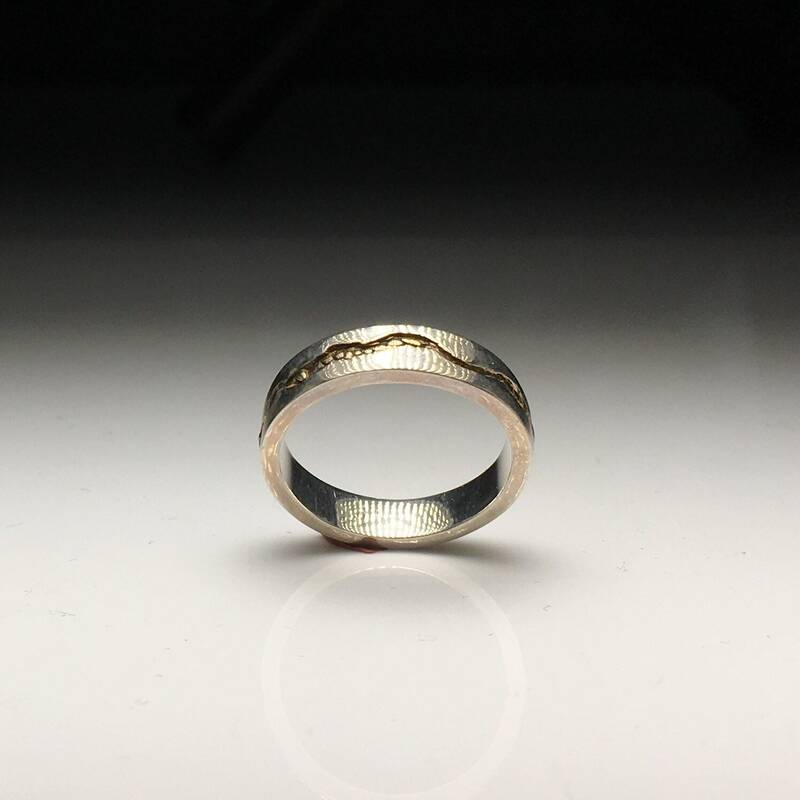 You will love how this ring feels on your finger. 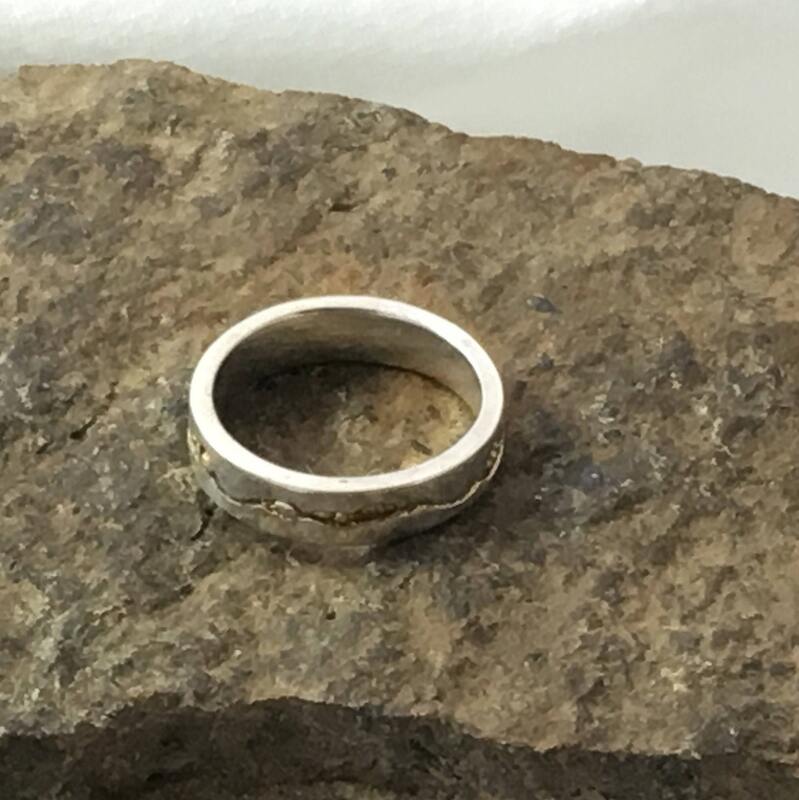 Since the ring is handmade it is not thin like department store rings. 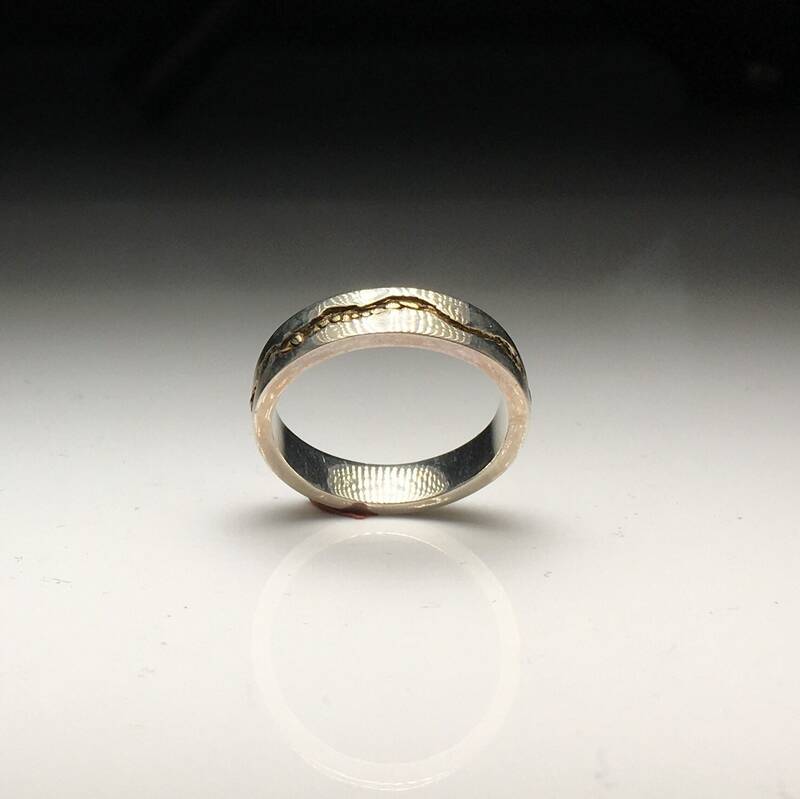 •	Ring is 4mm wide and 2mm thick.